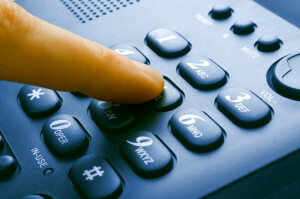 Call us now for a free, onsite consultation by one of our technology engineers! In today’s economic climate, companies are focusing on the inefficiency or stagnation of their in-house IT departments, overburdened and undertrained single-man IT consulting ‘companies’, or ‘bill you for every single question’ predatory network consulting organizations. The LCO Group doesn’t work that way. We believe in the value of long-term relationships, customer intimacy, and partnerships. We have the expertise and cutting edge tools to manage your IT needs professionally and at a lower cost so that you can focus on your business. With our Managed IT Total Support Service, you get better support, lower IT costs, improved reliability, and more productivity from your employees. Lets us show you how Outsourced IT can work for you. Contact us today for a free consultation with one of our engineers. We don’t skimp when it comes to understanding our clients – we will have an experienced technical engineer come onsite to discuss your IT service needs with you. We will listen to your requirements, discuss options with you, and help you understand the different IT support services that The LCO Group can provide for you. You will be surprised at how informative and profitable such a consultation can be. We’ll show you how good an IT outsourcing firm can be.